Western Dodge Chrysler Jeep has been serving Moose Jaw and area for over 40 years. Stop in today and test drive one of our new or used trucks, cars, SUV's or vans. Make sure to take advantage of our in-house leasing and financing options! Already own a vehicle? 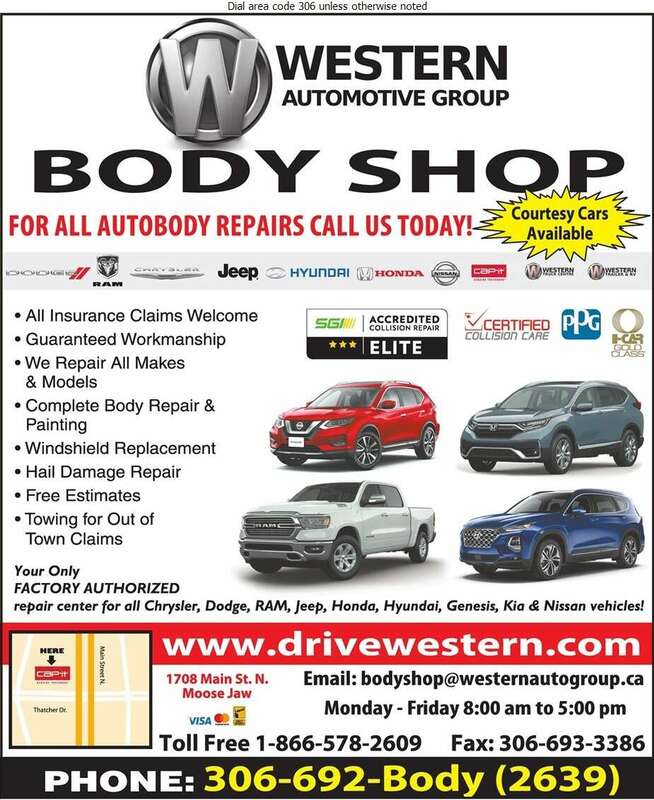 Our service and body shop professionals can help you with all your maintenance needs.